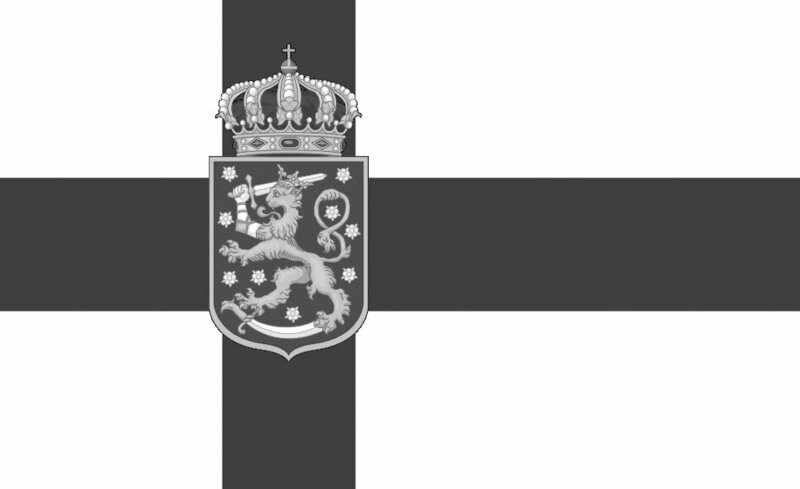 The story of the short-lived, largely nominal, Kingdom of Finland goes back to 1809. It was then, during the Napoleonic Wars, that the Grand Principality of Finland, whose Grand Prince (Grand Duke) had previously been the King of Sweden, was taken by Russia. For the next century Finland was an autonomous region of the Russian Empire and, at first, relations between Finland and Russia were quite good and beneficial to both sides. The Finns demonstrated their loyalty to the Russian Tsar and, in return, Finland was granted a greater degree of independence than other areas. Finland was given its own government and there was something of a national revival. However, later efforts to enforce greater uniformity, integrate Finns into the Russian Imperial Army and bring Finland into line with the rest of the Russian Empire caused some discontent. Still, the problems were not too serious and Finland remained a part of the Russian Empire until the overthrow of Tsar Nicholas II. Many, having considered Finland to have been in what amounted to a personal union with the Russian emperor, now felt Finland was completely independent. 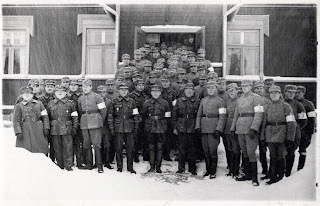 However, the Russian Provisional Government continued to view Finland as a part of Russia and soon the divisions in Russia swept over Finland as well. When civil war broke out in Russia between the Red and White factions, Finland declared independence but the conflict soon spread to Finland as well. At the start, the ever-troublesome Social Democrats held the most seats in the Finnish parliament. Soon the Finns were divided between the socialists who wanted to stay close to the emerging Soviet Russia and the various non-socialists who wanted complete independence. Red and White Finns were soon battling in their own country, along with, at times, their Russian counterparts. Faced with the threat of Finland being swallowed up by the emerging socialist dictatorship in Russia, some began to turn for help to their former enemies in Imperial Germany. 1917 and 1918 were busy years for the Baltic region. The Germans still had considerable military force in the area and were able to lend support to the White Finns against the Reds. The Reds were also undercut by the loss of Soviet support as the Russian Reds withdrew to concentrate on their own civil war. Germany saw an opportunity to support an independent Finland and so secure their own influence in the region, saving it from socialist republicanism and also serving as a convenient buffer state between the Soviets and the weakening German Empire. The Germans were also acting in a similar fashion in the Baltic states, helping establish independent monarchies (the Kingdom of Lithuania and United Baltic Duchy) under German princes. It was only natural that Germany would have considerable influence on the newly independent Finland. Later, during World War II, the Finns would say that Germany was “the only ally left to us” and in those closing days of World War I, the Germans were simply the only ones to extend a hand and give real support to the forces of Finnish independence. They trained White Finnish military forces, supported them with supplies and war materials and even troops to help them see the Russians out of their country and defeat the Red faction. Had it not been for German assistance, Finland might never have been independent at all but become another member state of the U.S.S.R. from the beginning. Given that, it was not unexpected that Finland would become a monarchy and choose for the throne a German royal. The favorite candidate was Prince Friedrich Karl von Hesse-Kassel, officially Friedrich Karl Prinz und Landgraf von Hessen-Kassel. He was married to Princess Margarete of Prussia, the sister of German Kaiser Wilhelm II. One Finnish member of parliament suggested that the new potential monarch reign as “King Charles I of Finland and Karelia, Duke of Aland, Grand Duke of Lapland, Lord of Kaleva and the North”. With the Social Democrats dealt with, on October 9, 1918 the Hessian prince was formally elected King of Finland. Naysayer republicans tend to portray this as effectively a German takeover of Finland or that, rather than being independent, Finland was simply becoming a German protectorate. However, that is not the case and the choice of the Hessian Prince Friedrich Karl was actually a very smart move for the new country. Because the King would be a German, the Germans could be confident enough to let Finland govern itself without worrying that Finland would ever be a threat to their interests. Had Finland chosen a leader who was hostile or even seen as being hostile to Germany, the country would immediately lose their primary foreign ally and, had things gone different on the warfront, Finland might have been occupied and annexed outright. 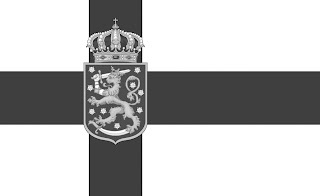 However, as it was, Germany could be comfortable with an independent, self-governing Finland knowing that the monarch was bound by family ties to their own Kaiser and, as a result, Finland could count on German support in international disputes that were bound to arise with neighboring countries like Russia or Sweden. It was also a case of being realistic. Finland, like the Baltic states, knew they were in a vulnerable position between Germany and Russia. They could never oppose both and so would have to take the side of one or the other. Especially with the Bolsheviks taking power in Russia and even then massacring people, this was an easy choice. A simple look at who was chosen as regent of the new kingdom, the famous Finnish soldier Carl Gustaf Mannerheim, will show that there is no doubt about the commitment to independence on the part of the Kingdom of Finland. 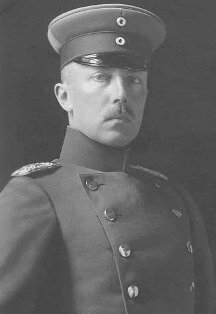 Mannerheim, in fact, had been chosen as regent in spite of the fact that he had been less than enthusiastic about offering the throne to Prince Friedrich Karl specifically because of the reaction this would provoke among the Allies. Unfortunately, he was proven correct and with the defeat of Germany the cause of monarchy in Finland was instantly doomed, even before the nominal King had been able to take up his throne. The Allies made it clear that they did not approve of the Hessian Prince becoming King of Finland and the Finnish Prime Minister, Lauri Ingman (a monarchist), was obliged to request that Prince Friedrich Karl renounce the throne. If he did not, Finland feared that the Allies would not recognize their independence. So, on December 14, 1918 Prince Friedrich Karl formally gave up the Finnish throne, before he had ever even actually taken up the position, and in the subsequent parliamentary elections in Finland the republicans won the majority of seats. When the new constitution was voted on and enacted it was, of course, a republican constitution and Finland has remained a republic ever since. It would have been interesting if they had picked Mannerheim himself to be king. Interestingly, Finland never abolished its noble estate unlike most republics. 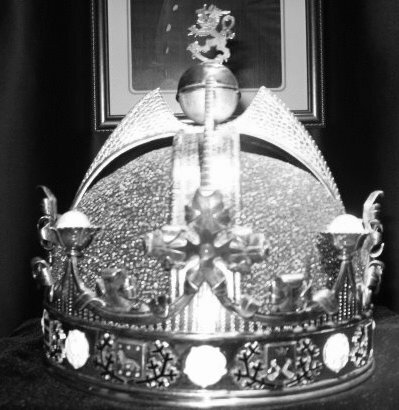 The House of Nobility has some kind of legal recognition as an entity. Interesting article, thank you for publishing it. Someday we may hope that this idea will be revisited and monarchy restored to the Grand Duchy.